Jamaican politician; born in 1811; died at Kingston, Jamaica, Dec. 29, 1886. One of the most prominent and influential residents of Jamaica, he held the chief magistrateship of the privy council and other important executive offices on the island. 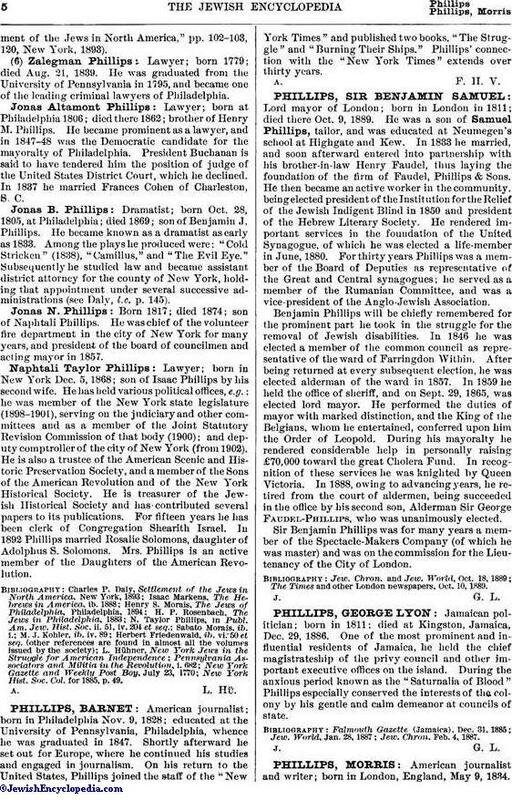 During the anxious period known as the "Saturnalia of Blood" Phillips especially conserved the interests of the colony by his gentle and calm demeanor at councils of state. Jew. Chron. Feb. 4, 1887.